Made for Lonestar houses these ship FREE! Don't let lower prices on other sites fool you, they add on additional charges to ship. The Lone Star Pole System is a sturdy 2" square pole that comes with a compact winch already preinstalled. 30 inch Ground Socket makes removing the pole easy when the season is over. Standing at over 16 feet tall the Pole System can be used with any housing that uses a 2" square pole. 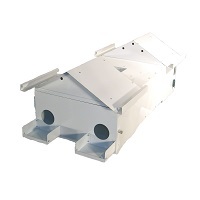 Made of galvanized steel the system is electroplated to prevent rust for a long life. 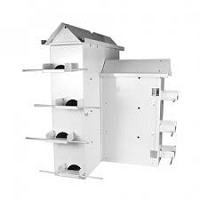 As with all Purple Martin housing, when severe weather is forecast, you should always lower your housing. But NOT in active lightening.